With endless daily responsibilities, it can be too easy to place yourself and your personal well-being at the bottom of your priority list. While putting your health last may seem necessary, doing so will make you more susceptible to both mental and physical illnesses, such as heart disease, stress, anxiety, and depression. On top of that, you also put yourself at greater risk of burnout. Which will significantly impact your ability to complete daily tasks and meet your goals. If you want to take control of your health and personal success, keep reading about self care. Work is one of the most common sources of stress. Each day, you likely deal with a variety of social interactions. Projects, and deadlines that can leave you feeling emotionally and physically exhausted. Unfortunately, many people learn to view stress as a natural component of work. Because of this, people often do not work to develop healthy coping mechanisms. Eating healthy, getting daily physical activity, and sleeping are among some of the most high-impact ways of dealing with chronic workplace stress. In addition, try to surround yourself with a strong support network of friends and family who want to see you succeed and be healthy. As much as possible, try to avoid dealing with chronic workplace stress through the use of drugs and alcohol. Substance abuse is common among individuals who experience intense, sustained professional stress. While these substances may offer temporary relief, they can worsen stress in the long run. Alcohol and drugs are depressants,whether in the short term, long term or both. This means that consuming these substances will make you more prone to sadness and depression. Getting enough rest, relaxation, and sleep is a fundamental component of both mental and physical health. Adequate sleep strengthens your immune system. Thereby making you less susceptible to colds and the flu. Sleep also helps reduce stress, improve mood, and facilitate better decision-making. Even moderate sleep deprivation can impact an individual’s mood, judgment, and memory. If you are finding it difficult to fall or stay asleep. You may want to alter certain components of your lifestyle. 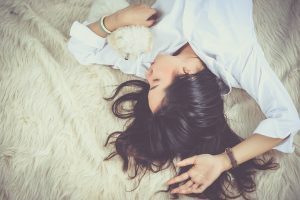 Waking up early, turning off electronics before bed, and putting an end to late-night snacking and exercising are proven ways of facilitating better sleep. If you have made a number of lifestyle changes but are still unable to get enough sleep. Consider consulting a doctor about the possibility of a sleep disorder. Learning to say “no,” both at work and in your personal life, can be challenging. For a variety of reasons, you may feel pressured to say yes to something you know is antithetical to your health. For example, you may say yes to a night out because of a sense of social obligation despite knowing you would benefit more from a good night’s sleep. Saying no is a good way to show that you respect and honor yourself and your well-being. In the long run, saying yes to tasks, activities, and behaviors you are uncomfortable with can leave you feeling resentful of the person making the requests. For example, if you always agree to help a certain colleague on his/her projects despite not having time to work on them, you may begin to harbor feelings of resentment toward that person. Learning to take care of your health first can also help prevent emotional burnout. Initially, learning to say no can be difficult; however, the more often you practice, the easier it will become. If you want to live a fulfilling life, start by putting yourself and your health first. Get enough sleep, learn to say no, and addressing workplace stress. These are great ways you can help set you on the path of self care. Do you want to learn more about taking self care of your health? Then let us show you how to love being alcohol free.